Is vacationing in Beaver Creek something you look forward to each year? Why not own your vacation residence here during the time you desire. Winter, summer, one week, one month? In addition to using your Condominium, you can use it to trade around the world with Interval International. Interval ownership provides the opportunity to own a luxury vacation property for those who want to spend only a fraction of the time and money required by whole home ownership. It’s an innovative way to enjoy the comforts, amenities and location that you want without the worries and high expense of owning a vacation home entirely on your own. Best of all, you are a deeded owner of your share of the property. 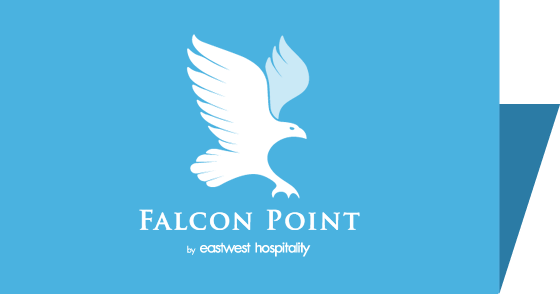 If you would like specific information on any of Falcon Point units, or if you have questions about listing your unit for sale, or purchasing a unit at Falcon Point, please contact our on-site General Manager, Lisa Nelson at 970-9494416 x 1176 or email lnelson@eastwest.com. Whether you want to relax and enjoy the mountain views or gear up for countless winter and summer adventures, Avon is at the heart of it all. Ownership at Falcon Point is deeded property, not just rights to use the property. You can sell it, rent it, exchange it or include it in your will for your loved ones to enjoy. The ability to select the season, condominium type and number of weeks allows you to customize interval ownership to suit your vacation lifestyle. The costs of maintenance, utilities, taxes, upkeep and administration are kept to a minimum because they are divided among all the owners of the property. Over the long term, interval ownership is more cost effective than renting. You benefit from the convenience and comfort of coming back to Falcon Point year after year or, you have the option to trade your week through Interval International and experience other amazing vacation getaways. As an owner, you have all the rights and privileges of other property owners because the property is fully deeded to you. Your ownership offers flexibility and is hassle free. Now is a great time to invest in a fully furnished spectacular condominium or suite at Falcon Point at Beaver Creek. Interval International operates a membership based program for vacation exchange. Located in Miami, Florida, the company has been a pioneer and innovator in serving the interval ownership market since 1976. Today, Interval has an exchange network of approximately 2,700 resorts in more than 75 nations. Interval offers high-quality products and benefits for about 2 million families who are enrolled in a variety of membership programs. In addition to using your condominium, you can use it to trade around the world with Interval International (www.intervalworld.com ), you may make the Condominium available for rental, or you can give it as a gift to friends and family.